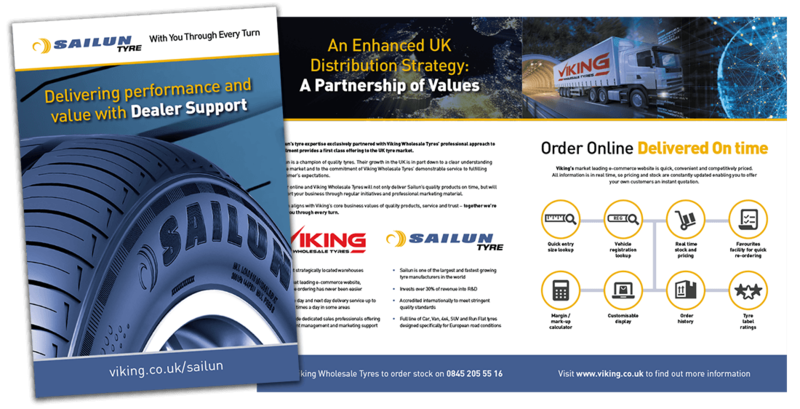 As the exclusive distribution partner of Sailun tyres in the UK market, Viking Wholesale Tyres is pleased to present this opportunity to become a Sailun Dealer meaning growth for your business and measurable profit. 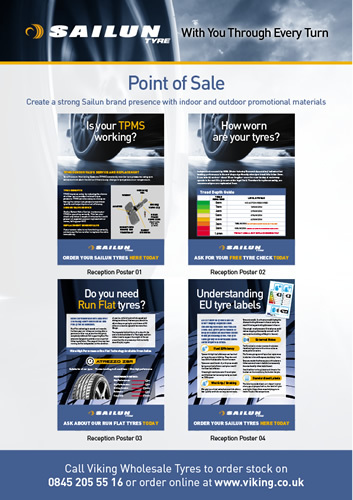 We have been delighted to add Sailun to our brand portfolio and are impressed with the very high product quality across the Sailun range, and the ongoing corporate focus on product improvement and specific market relevance. 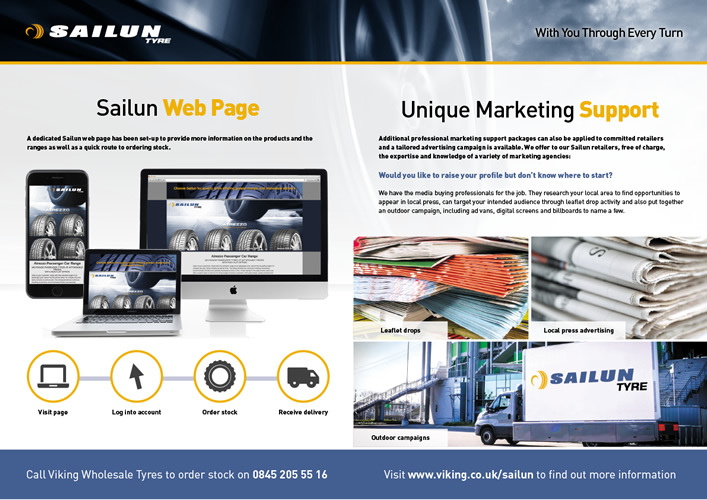 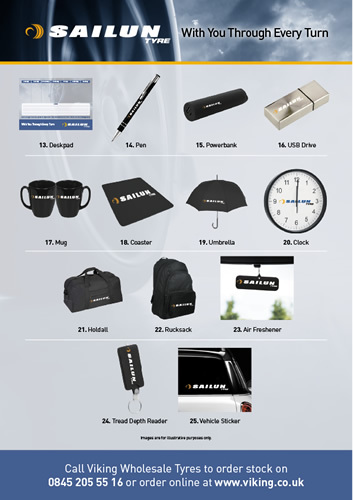 As a Sailun Dealer you have access to the full Sailun range of Passenger Car, Run Flat, 4x4, SUV and Van tyres – and with Viking Wholesale Tyre’s market leading e-commerce website, online ordering has never been easier. 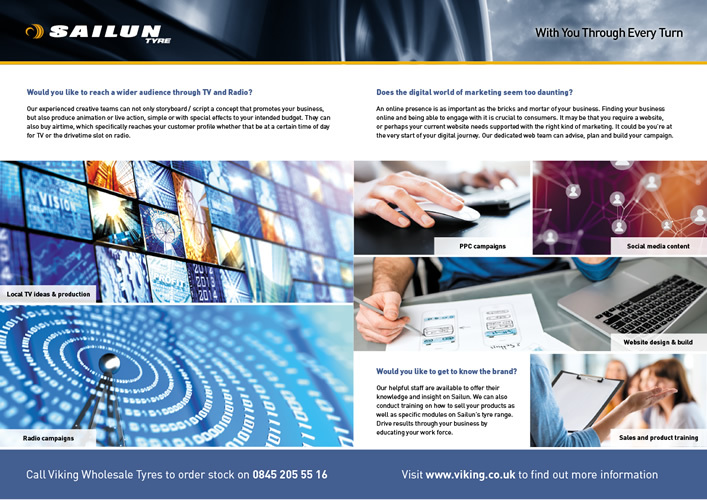 Order online and Viking Wholesale Tyres will not only deliver Sailun’s quality products on time, but will support your business through regular initiatives and professional marketing material. 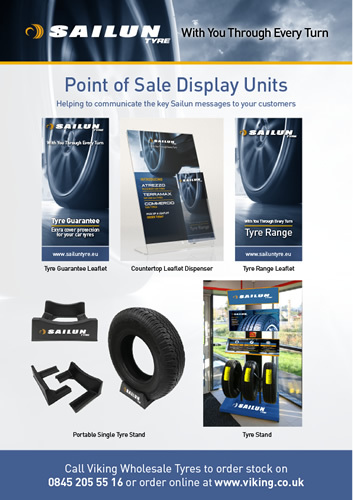 Additional professional marketing support packages can also be applied to committed retailers and a tailored advertising campaign is available. 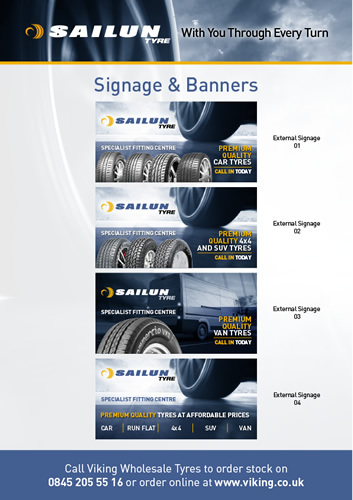 We offer to our Sailun retailers, free of charge, the expertise and knowledge of a variety of marketing agencies.